Both teens and adults are asking their phones for directions and using it to help skip the hassle of typing in phone numbers. And it’s pretty clear a lot of people are relying on voice search for multitasking: they talk to their phones while watching TV (38 percent) and 23 percent of adults use voice search while cooking. 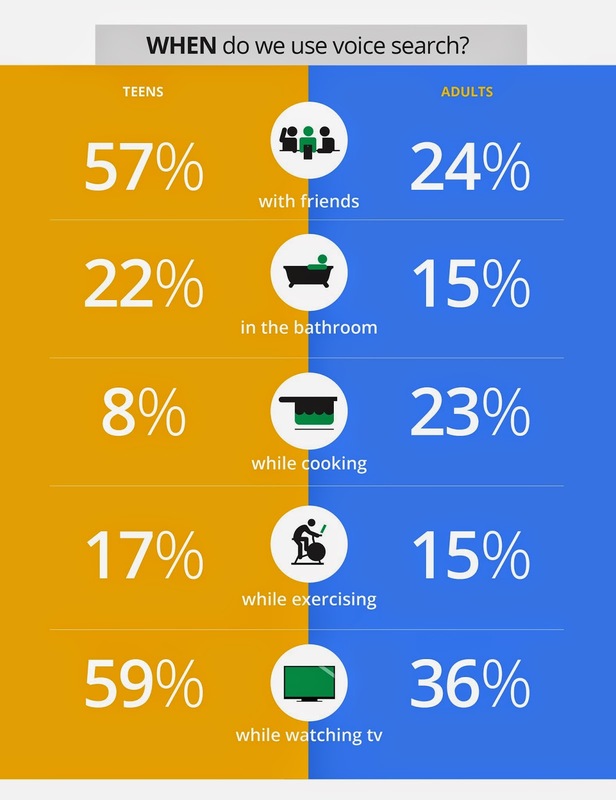 Apparently, it’s becoming common kitchen etiquette to ask your mobile device: “Ok Google, how many ounces are in a gallon?”—all while making sure your screen stays crumb-free. While people of all ages ask practical questions, it’s teens who are exploring all angles, with nearly one-third talking to their phones to get help with homework. 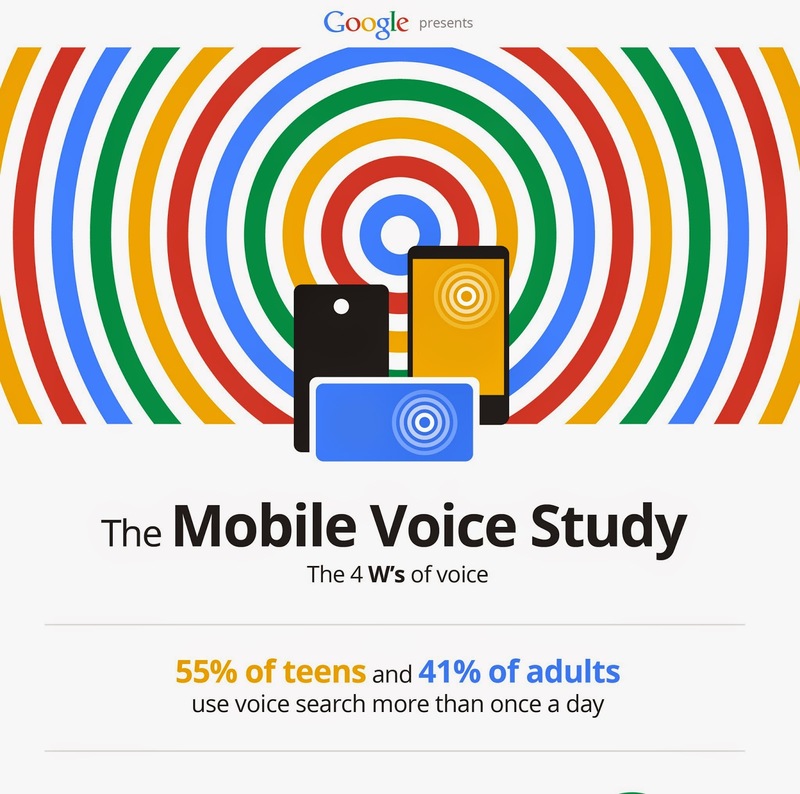 I see my kids asking my phone questions like: “Ok Google, who was the sixth president of the U.S.?” or “what’s the tallest mountain in Europe?” On the bright side, teens are ditching voice search in the classroom: 74 percent of them think using voice search at school is unacceptable. In fact, most admit to using voice search “just for fun”—I know my daughter finds it pretty amusing to tell her phone: “Ok Google, play Olivia Holt’s ‘Fearless’” to start a dance party. Though it’s already helping a lot of people save time and simplify their days, there’s also potential for voice search to do a lot more in the future. 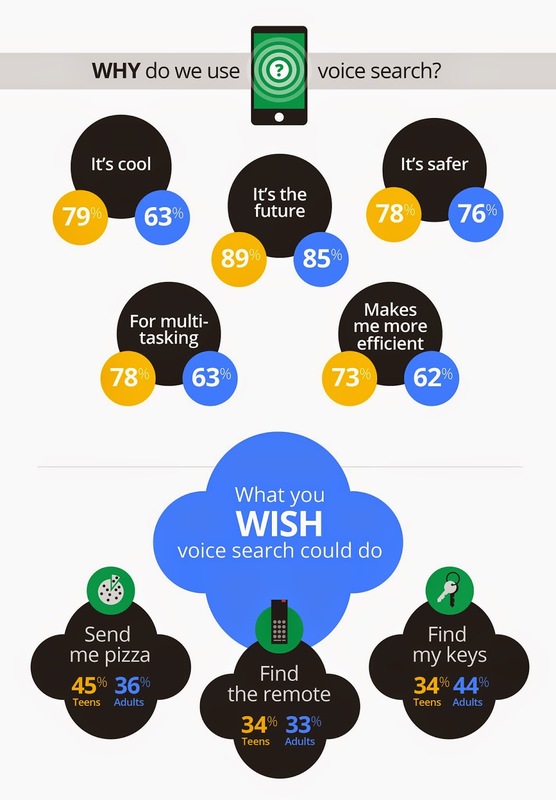 So we asked people what they wished voice search could one day deliver. And I have to say, I agree with the results! it would be great to rely on my voice to easily find my car keys or TV remote, both of which somehow always end up under the couch cushions. And I’m not alone in wishing a simple voice command could save me from having to cook dinner. Forty-five percent of teens—and 36 percent of adults!—wish they could place a pizza delivery order using voice search on their mobile device. We’re not quite there yet, but next time you don’t feel like cooking, just pull out your phone, tap the Google app, and say: “Ok Google, call Round Table Pizza.” You’ll still have to place your order over the phone, but we’re getting closer! The small print: The study was commissioned by Google and executed by Northstar Research, a global consulting firm. 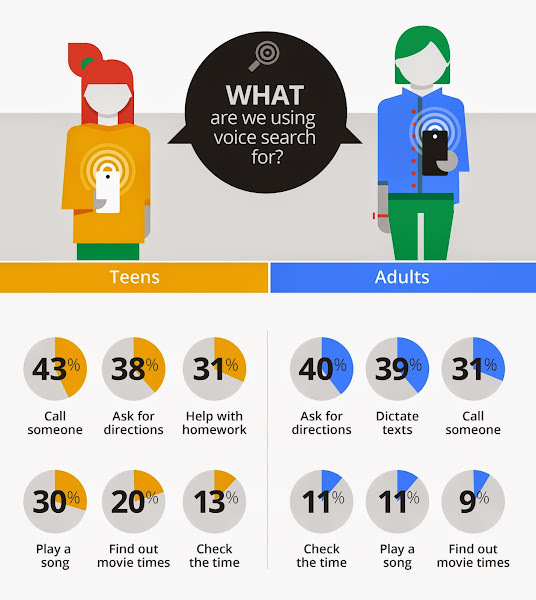 It examined the smartphone voice search habits of 1,400 Americans, 13 years of age and older (400 ages 13-17 and 1,000 adults ages 18+). Voice search is part of the Google app (available on iOS and Android) and is the best way to access Google for helpful assistance throughout your day. Learn more about the Google app.